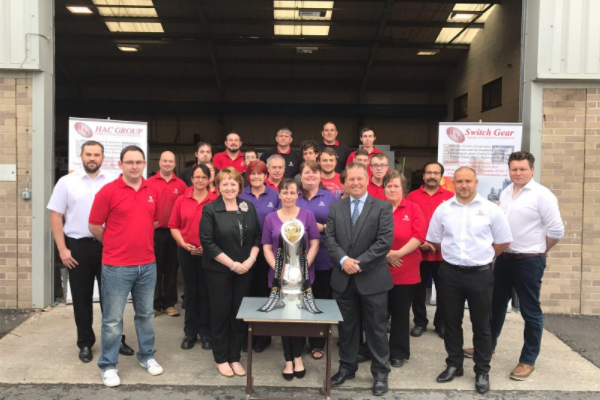 HAC were proud to welcome the Guinness Pro 12 trophy to our Llanelli offices on Friday 30th June 2017. Staff had the opportunity to pose for individual photos and a group photo with the cup, won this year of course by “The Scarlets” – Llanelli. HAC are proud to sponsor Ken Owens, (Scarlets, Wales and Lions), and wish him and all the team at The Scarlets all the best for the new season.